We aim to support all families including those whose children have complex needs due to genetic conditions / syndromes which mean a vast array of other health, physical, speech, feeding and developmental problems . Apologies we are having problems with the phone line at the minute ! We offer 24/7 support in our online family support group on facebook. 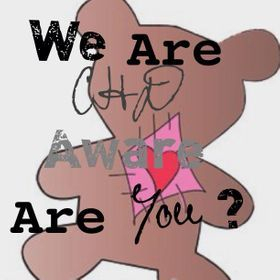 Our online admin are all parents with very different experiences of being heart parents and are happy to help families on our closed member group on Facebook . Energy & Eating - sleepy, quiet, too tired to eat, falling asleep during feeds? Arterial Saturation - a blue, dusky or grey colour (normal oxygen saturations 95-100%)? The Think HEART inititiative was Pioneered by Dr. Joan LaRovere, Director of Royal Brompton Hospital's (RBH) Paediatric Intensive Care Unit. "Think HEART gives health professionals not specifically trained in cardiology the skills, knowledge and confidence to spot potential heart problems in newborn babies. It will also empower PARENTS to spot any potential health problems at home and will hopefully give them the confidence to take action." If you think your baby or child might be demonstrating any of the above please talk to your GP immediately and ask to be referred to a paediatric doctor to investigate the symptoms further. 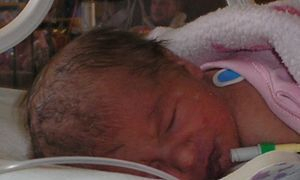 many babies with CHD go undiagnosed until they go home and parents begin to struggle. With this simple initiative we may be able to bring CHD to the attention of doctors faster and help more babies to survive. Babies and children deteriorate FAST.